Notes for Fluid Mechanics chapter of class 11 physics. Dronstudy provides free comprehensive chapterwise class 11 physics notes with proper images & diagram. It refers to the state when there is no relative velocity between fluid elements. 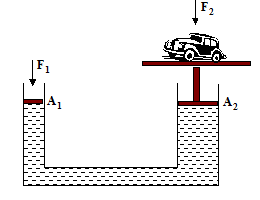 In this section we will learn some of the properties of the fluid statics. The SI unit of pressure Nm-2 and is also called pascal (Pa). The other common pressure unit are the atmosphere and bar. Atmospheric pressure is about Pa. How large a force does the atmosphere exert on a 2 cm2 area on the top of your head? Imagine a static fluid and consider a small cubic element of it deep within the fluid as shown in figure. Since this fluid element is in equilibrium, therefore, forces acting on each lateral face of this element must also be equal in magnitude. Because the areas of each face are equal, therefore, the pressure on each of the lateral faces must also be the same. In the limit as the cube element reduces to a point, the forces on the top and bottom surfaces also become equal. Thus, the pressure exerted by a fluid at a point is the same in all directions –– the pressure is isotropic. Since the fluid cannot support a shear stress, the force exerted by a fluid pressure must also be perpendicular to the surface of the container that holds it. po is the atmospheric pressure at the free surface of the liquid. Absolute pressure is the total pressure at a point while gauge pressure is relative to the local atmospheric pressure. Gauge pressure may be positive or negative depending upon the fact whether the pressure is more or less than the atmospheric pressure. pressure at any depth h in a fluid may be increased by increasing the pressure po at the surface. Pascal recognized a consequence of this fact that we now call Pascal’s Law. A pressure applied to a confined fluid at rest is transmitted equally undiminished to every part of the fluid and the walls of the container. 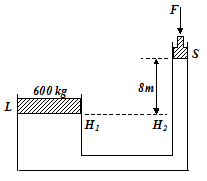 This principle is used in a hydraulic jack or lift, as shown in the figure. 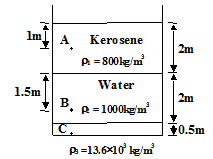 The pressure due to a small force F1 applied to a piston of area A1 is transmitted to the larger piston of area A2. The pressure at the two pistons is the same because they are at the same level. Consequently, the force on the larger piston is large. Thus, a small force F1 acting on a small area A1 results in a larger force F2 acting on a larger area A2­. After solving, we get, F = 31 N.
The venturimeter is used to measure flow velocities in an incompressible fluid. It consists of a manometer containing a liquid of density rm connected to two points of a horizontal tube. The speed v of the liquid (density r) flowing through the tube at the wide neck of area A1 is to be measured. If a body is partially or wholly immersed in a fluid, it experiences an upward force due to the fluid surrounding it. The phenomenon of force exerted by fluid on the body is called buoyancy and the force is called buoyant force. A body experiences buoyant force whether it floats or sinks, under its own weight or due to other forces applied on it. A body immersed in a fluid experiences an upward buoyant force equivalent to the weight of the fluid displaced by it. When a 2.5 kg crown is immersed in water, it has an apparent weight of 22 N. What is the density of the crown? In order to describe the motion of a fluid, in principle one might apply Newton’s laws to a particle (a small volume element of fluid) and follow its progress in time. This is a difficult approach. Instead, we consider the properties of the fluid, such as velocity and pressure, at fixed points in space. There is no dissipation of energy due to internal friction between adjacent layer in the fluid. A tiny paddle wheel placed in the liquid will not rotate. In rotational flow, for example, in eddies, the fluid has net angular momentum about a given point. Since fluid does not leave the tube of flow, this mass will later pass through a cylinder of length and area A2. The mass in this cylinder is . The lengths Dl1 and Dl2 are related to the speeds at the respective locations: = v1 and = v2 . Since no mass is lost or gained. This is called the equation of continuity. It is a statement of the conservation of mass. The product Av is the volume rate of flow (m3/s). 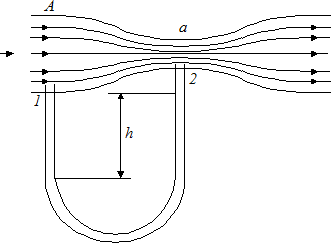 Figure shows a pipe whose cross section narrows. From equation we conclude that the speed of a fluid is greatest where the cross-sectional area is the least. Notice that the streamlines are close together where the speed is higher. Let us focus our attention on the motion of the shaded region. 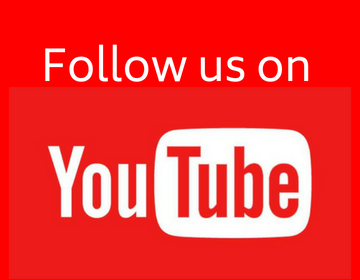 This is our “system”. the lower cylindrical element of fluid of length Dl1 and area A1 is at height y1, and moves at speed v1. After some time, the leading section of our system fills the upper cylinder of fluid of length Dl2 and area A2 at height y2, and is then moving at speed v2. Daniel Bernoulli derived this equation in 1738. It is applied to all points along a streamline in a nonviscous, incompressible fluid. (b) Find the pressure at the highest point B. 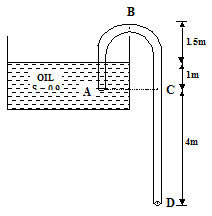 (c) Find the pressure at the points A(out side the tube) and C.
(e) Is there a limit on the maximum height of B above the liquid level in the reservoir? (f) Is there a limit on the vertical depth of the right limb of the siphon? Assume datum at the free surface of the liquid. (a) Applying Bernoulli’s equation on point 1 and 2 , as shown in the figure. (b) Applying Bernoulli’s equation at 1 and B.
pA = 105 + (900)(10)(1) = 109 kN/m2. = 105 - (900)(10)2 - (900)(10)(-1) = 105 - 45000 + 9000 = 64 kN/m2. (d) The velocity of flow is independent of the density of the liquid , therefore, the discharge would remain the same. (e) Since the pressure at B is less than atmospheric, the liquid, therefore, has a tendency to get vapourised if the pressure becomes equal to the vapour pressure of it. Thus , pB > pvapour. For working of siphon , H ¹ 0, and H should not be high enough so that pB may not reduce to vapour pressure. (b) What is the water pressure in the hose on the ground? (a) The problem is illustrated in figure. We first apply the Equation of Continuity, to find the velocity of the fluid at the nozzle. h1 = 0 and h2 = 1.5 m.
p2 = 1.01 ´ 105Pa. where symbols have their usual meaning and d is the dimension of the boundary. For > 2000, the flow is often turbulent. awesome notes.. but where are the notes of fluid dynamics....I like to read that too..!! Spot i’ll carry on with this write-up, I really believe this amazing site needs a great deal more consideration. I’ll more likely once again to learn to read much more, many thanks for that info.